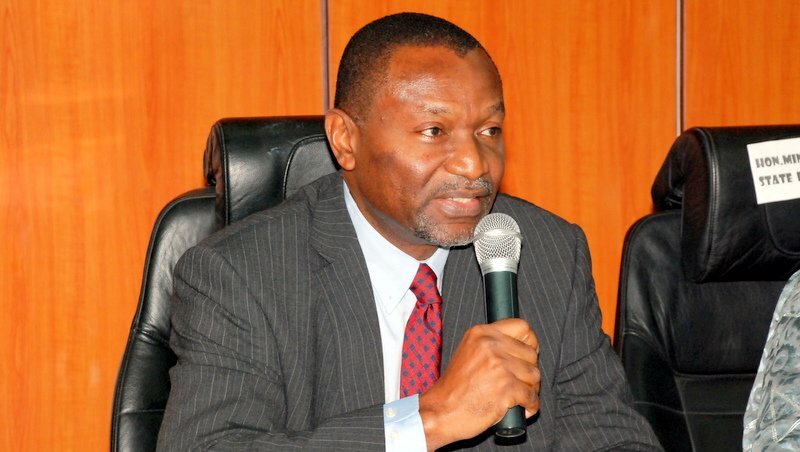 Minister of Budget and National Planning, Udoma Udo Udoma, has given reasons as to why President Muhammadu Buhari was yet to sign the Appropriation Bill, passed by the National Assembly on May 10. According to him, the president has decided to carry out a thorough review of the 2018 budget. The National Assembly had raised the budget to N9,120, 334,988,225 from the N8.6 trillion presented by President Buhari, showing an increase of N508 billion. Udoma, disclosed this to State House Correspondents at the Presidential Villa after meeting with President Buhari on Monday. Buhari had on Nov. 7, 2017 presented the N8.6 trillion “Budget of Consolidation”, to a joint session of the National Assembly. According to Udoma, “the President is currently reviewing the budget and as you know, we have a minimum window of 30 days. After six months delay, National Assembly finally passed the N9.120 trillion and fiscal deficit of N1.955 trillion or 1.73 percent to GDP. The amount represents an increase of N580 billion above the N8.612 trillion proposal submitted by President Buhari to the joint session of the National Assembly on the 7th November, 2017. The 2018 appropriation bill, the largest in the nation’s history, was premised on key revenue assumptions of oil price benchmark of $51 (an increase of $6 above the $45 proposed by the Presidency); but retains 2.3 million barrels per day and exchange rate of N305/$1USD. Sectors regarded as critical namely: Power, Works and Housing, Defence as well as Transportation got the highest capital allocation of N1.090 trillion out of total sum of N2.873 trillion in the 2018 budget.